Children are angels sent by god and childhood is one phase that everyone wants to relive. Talk to any grown up and you will see the sudden spark in their eyes when you ask about their childhood. A time when you have zero stress, no worries of the future and no problems with the present; all you have is a clean mind that only knows to have fun, the curiosity to try new things and plenty of time to listen and share a lot of stories. Stories – yes that is how I remember my childhood and possibly you would too. Even in this smartphone age, stories are still alive. They do tell stories but how many of them we listen to in this fast food world? Today we have Booker prizewinner writers who tell great stories but that innocence of stories coming from a kid’s heart is lost somewhere. What if we had a platform which brought together great storytelling authors, and kids who have those weird stories that are bound to bring a smile on our face? Airtel, the smartphone network, with its association with Jaipur Literature Festival (JLF) decided to bring back the lost art by enabling the two ends to meet virtually and inspire them to continue writing stories. To execute the idea, Airtel roped in JWT as its creative agency with the brief being – effective usage of JLF platform that would showcase the power of smartphone network to create content and drive positive brand conversations. Once the 5 young storytellers were shortlisted, Amish was introduced to them virtually on a video chat. Amish backed the young minds and asked them to take his story forward from where he had left. Airtel posted the beginning of the story written by Amish to the kids and encouraged them to finish it in their own style. Now it was time for distributing the stories of these 5 young minds to a bigger audience and what better than showcasing it at JLF. The stage was set, the audience was ready, everyone wanted to listen to these young minds and their crazy stories. The kids narrated the stories but again virtually. With the help of teleportation and live 3D images by Airtel, the kids narrated their stories virtually, leaving the audience in smiles. And possibly making it a bit nostalgic for them too. 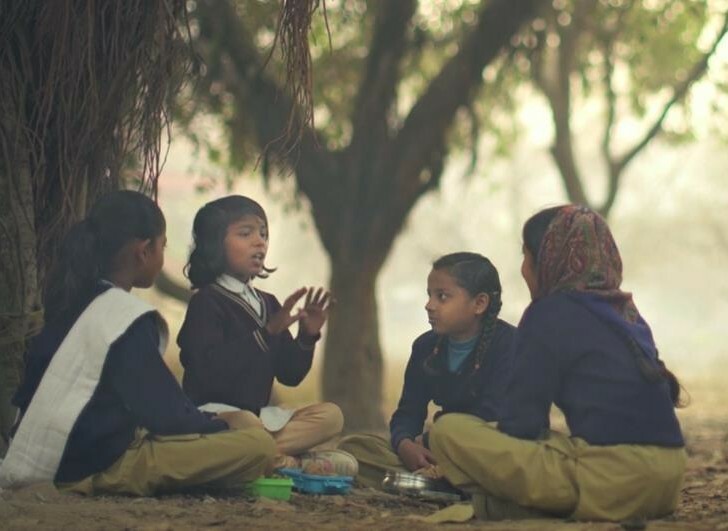 The story doesn’t end here, Airtel has collected all the stories and published it in a book named Udaan. Having never met the kids in person yet giving his voice to the many storytellers, Amish released the book at the JLF. Udaan is not just a book of innocent stories but has managed to build an audience for these budding storytellers. The Paanch Nanhi Kalmein initiative and the 5 published authors are an inspiration today to their classmates to keep telling their stories. The campaign once again strengthens the brand positioning of “the smartphone network” by executing the entire activity virtually with the use of technology and networks.